Booth：C121A Time：2017/11/7~11/9 Add：International Conference Center，Cape Town，South AfricaWelcome to OPWAY BoothFor more information,please visit our website:www.opwaytech.com. Booth：153 Time：2017/9/18~9/20 Add：Swedish Exhibition & Congress Centre, Gothenburg, SwedenWelcome to OPWAY BoothFor more information,please visit our website:www.opwaytech.com. 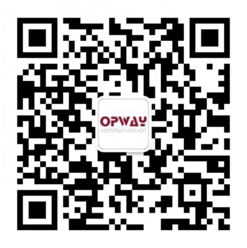 Booth：Hall No.1#1B81 Time：2018/9/6~9/8 Add：Convention&Exhibition Center,Shenzhen,China Welcome to OPWAY BoothFor more information,please visit our website:www.opwaytech.com.